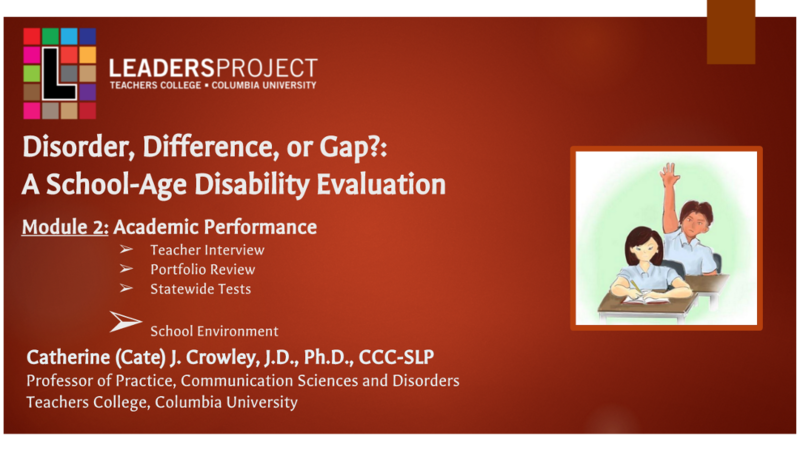 In this playlist, Dr. Cate Crowley walks evaluators through a step-by-step approach to how to assess and evaluate a school-aged child based on current federal law, state regulations, ASHA guidelines, and evidence-based practice. 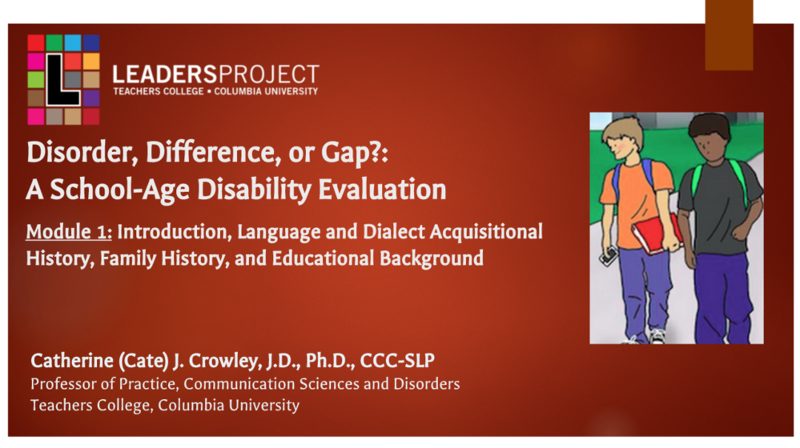 Cate introduces the module series, explaining the evidence an evaluator needs to distinguish a true disorder from a language difference or academic gaps resulting from a lack of adequate educational instruction. In this module, Cate looks at Sofie’s academic achievement through past standardized test scores, an extensive teacher interview, observations of her schoolwork, and information from Sofie and her mother. 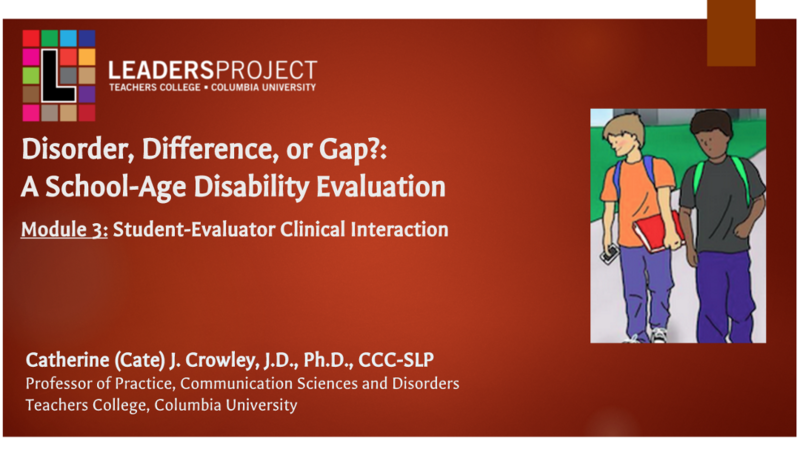 In this module, Cate analyzes the results of her direct clinical interactions with Sofie. 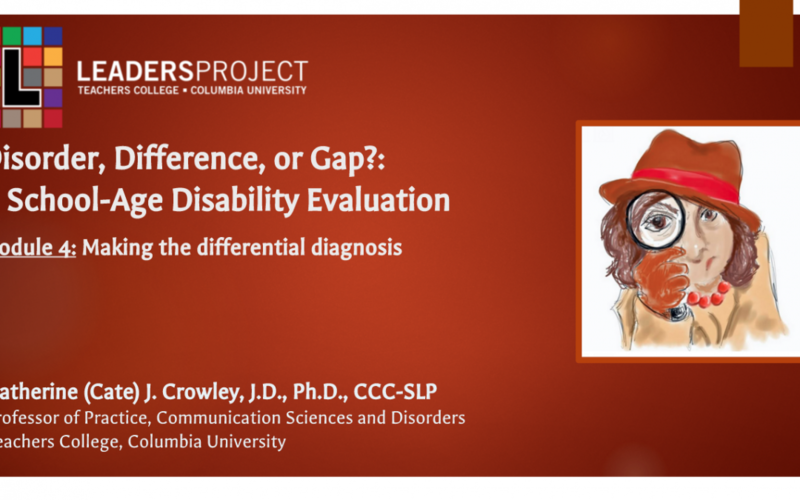 In this module, Cate focuses on making Sofie’s differential diagnosis to distinguish a disorder from a difference from an academic gap.